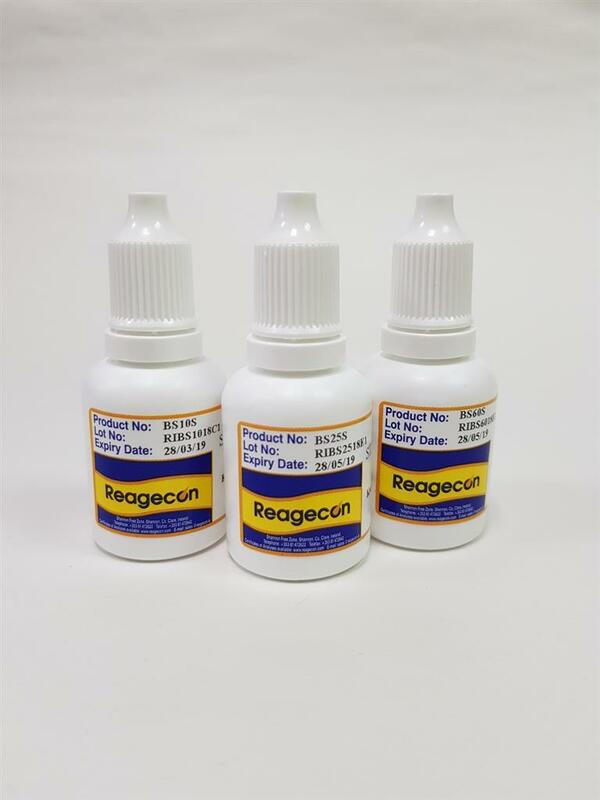 Reagecon's Brix Standard (Stabilised) 67.5% at 20°C is a high quality product, with an extended shelf life to be used either as a calibrant or analytical control material for use in Refractive Index based methods for Brix determination. This product can be used on any make or model of refractometer. The product is certified using a state of the art refractometer, manufactured gravimetrically and is traceable. This product has an uncertainty of measurement of ± 0.11%. It is stable for one year, either opened or unopened and is presented in a convenient 15ml dropper bottle. The product is prepared gravimetrically on a weight/weight basis. Both solute and solvent are weighed on a balance calibrated by OIML traceable weights. Reagecon holds ISO 17025 Accreditation for calibration of laboratory balances (INAB Ref: 265C). The resulting Balance Certificate of Calibration is issued in accordance with the requirements of ISO/IEC 17025.